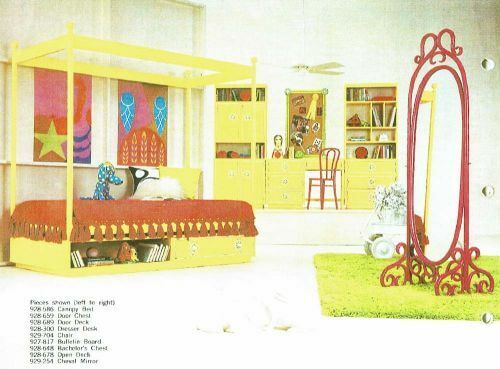 No question, Drexel Plus One would have been my teenage girl dream furniture in 1970, when my mom let me choose my paint colors and carpet for our groovy new split level house in Vista, California. 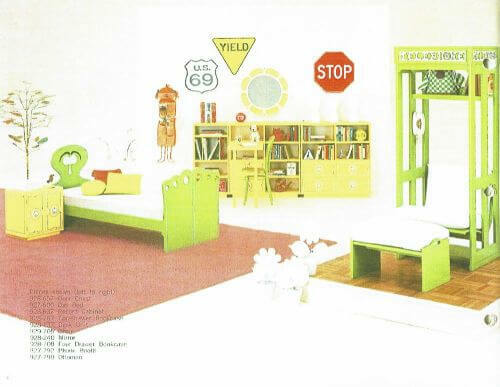 I already had an Early American bedroom set That Never Wore Out, but if I hadn’t… well, 40 years later a once-teenage girl can dream. Thanks to reader Kevin — who has several pieces of this hard-to-find vintage bedroom furniture for sale on craigslist in Long Island, New York: He also scanned the catalog, which is eye-popping dreamy. If you found this, then you might know about this vintage furniture from the blog at Retro Renovation. I put this in storage so these are the last pics of it when it was home. 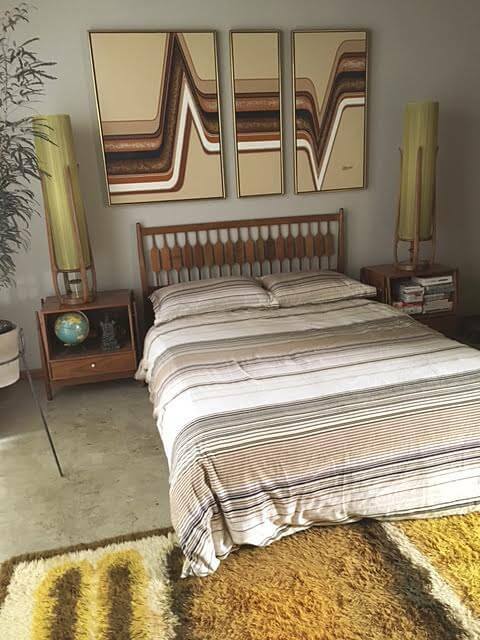 It’s not the complete set from Drexel, but enough to start a bedroom in 1970’s style. Basically takes up most of a bedroom anyway. 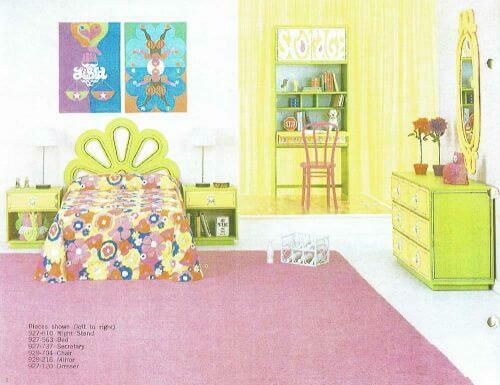 Add a yellow flowery bedspread and it comes to life… a beanbag chair and you’re all set. In Yellow with black and white accents. In Good to great condition. Made in 1970. 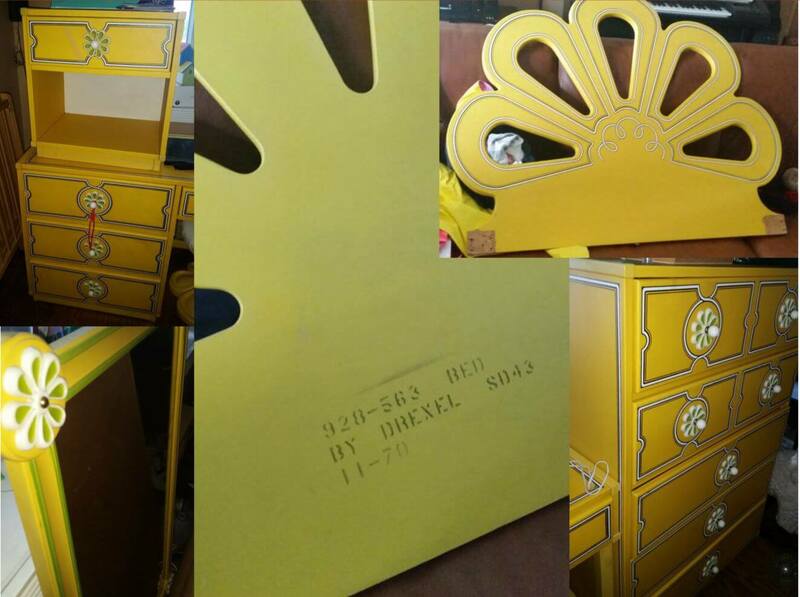 Includes: Dresser, Desk (with stool from set), End table, Mirror, Headboard. 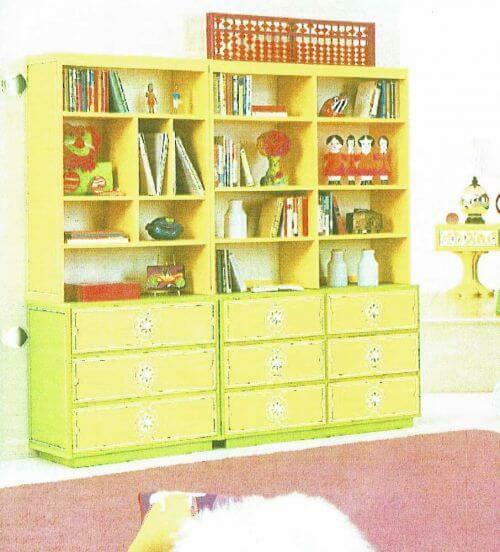 The finish is a durable 3M plastic ‘coating’ of yellow. 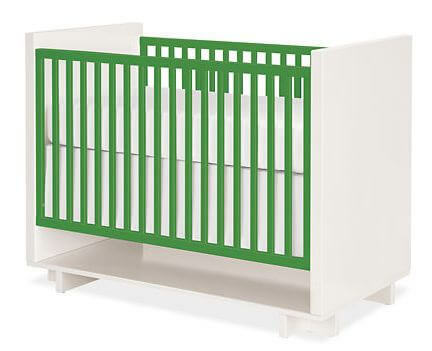 Extremely stain resistant and durable. 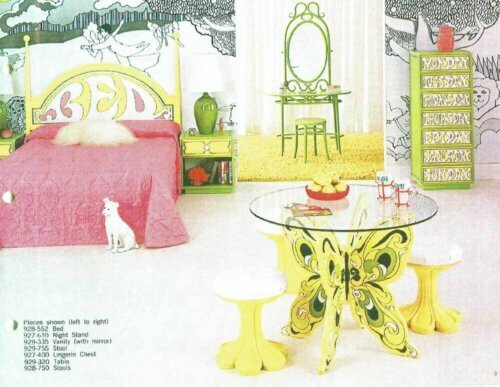 Drexel polled girls via Seventeen magazine, then took their ideas and made this line of furniture. 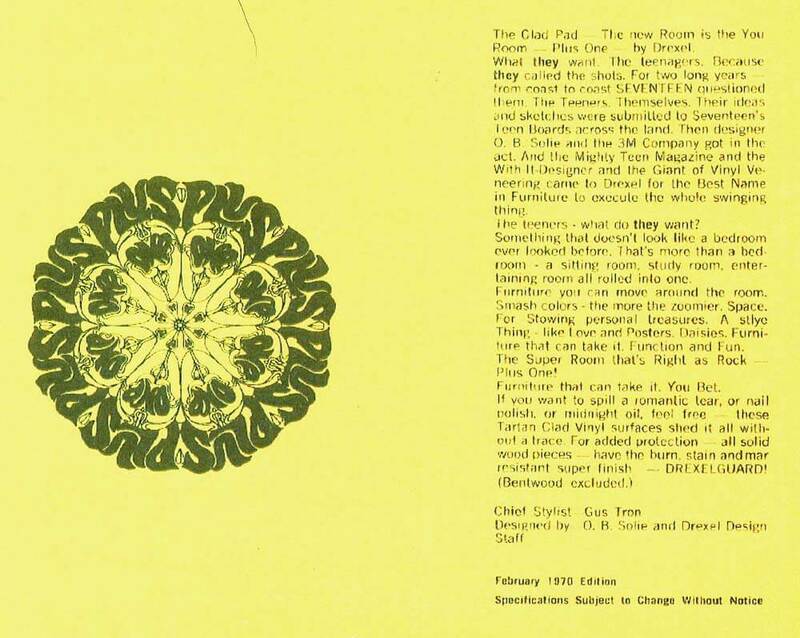 Last few pics are from a bad copy of a catalog that was given to me. … It’s literally 47 years old. Price is firm. A set of this was recently broken up on an auction site where opening bid was 150 a piece, before shipping and buyer’s premium. 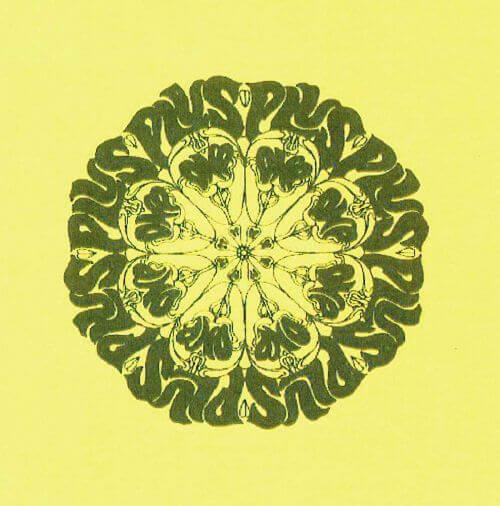 There are people who love this 70’s stuff.. Is this you? Thank you for looking. Kevin told me the catalog image are not so great because the catalog was stored all flattened out wrapped in bubble wrap for many years. I kinda like that part of the story. 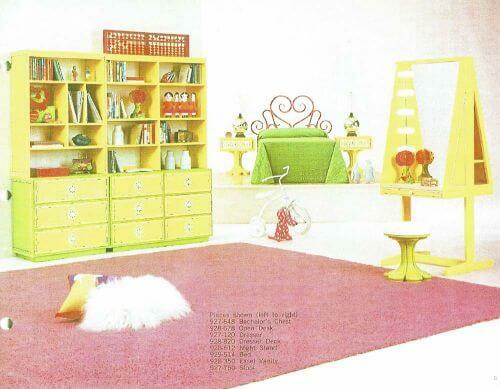 And I more than kinda like this furniture. It is my 70s dream come to life! 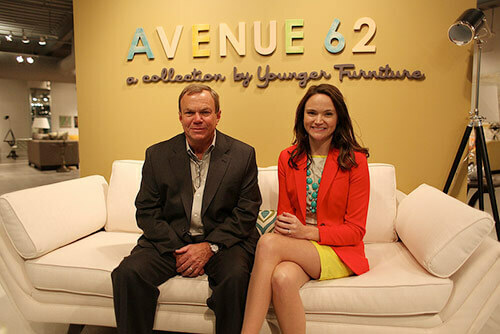 Wanna buy this furniture? Here’s Kevin’s craigslist ad, while the gettin’ is good. Doesn’t do it for me. I’d probably feel differently if I were a girl. 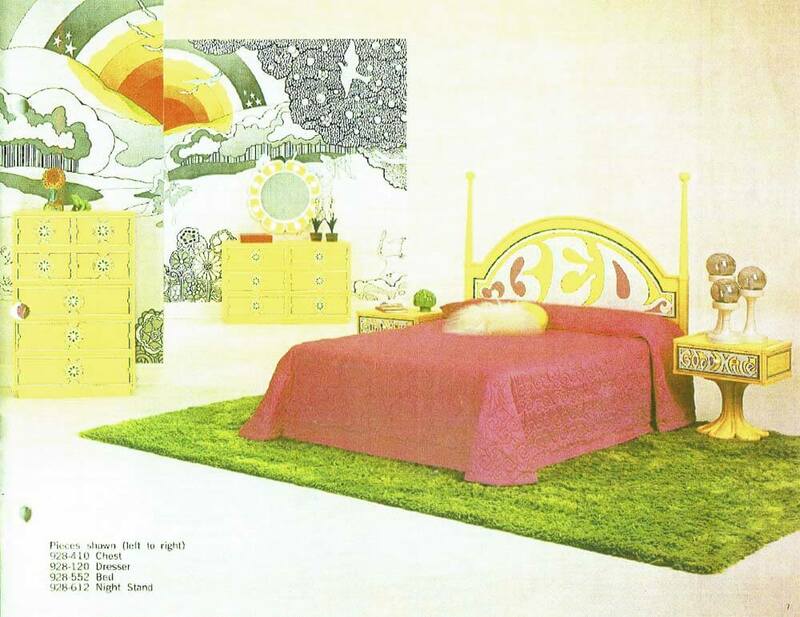 This looks so much like the bedroom suite I had as a child in the 70s. The only piece I have left is the full size mirror. 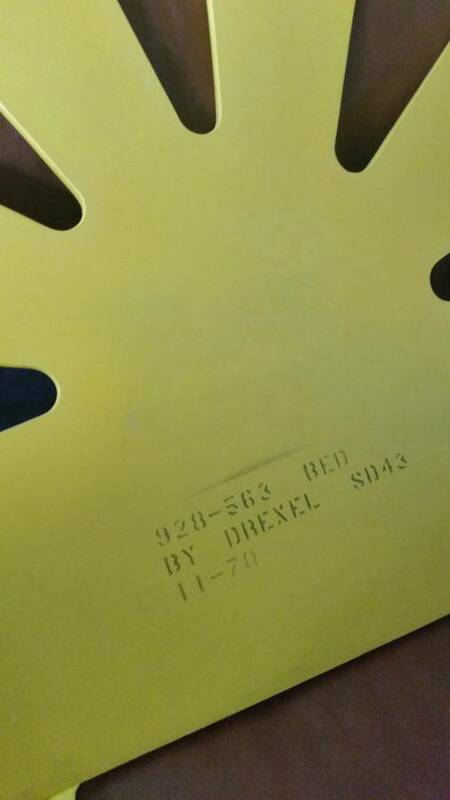 I wonder if was Drexel as well. We have this!! In our Master bed room right now!! Don’t use several other pieces throughout our home, but with 3 of the 7 pieces in the Master … Its noticed!